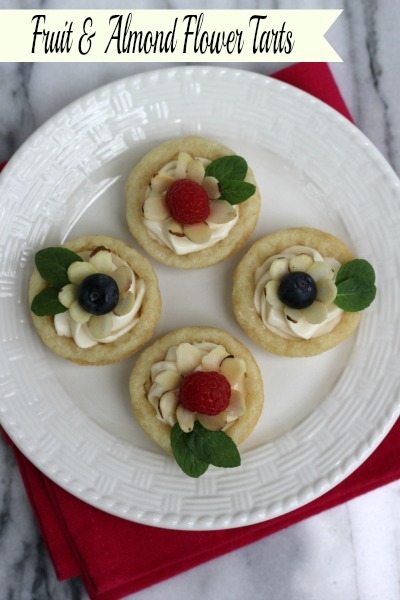 What better way to celebrate Mother's Day than with cute mini fruit and nut flower tarts. When hosting holiday parties I love making small, bite-size treats. 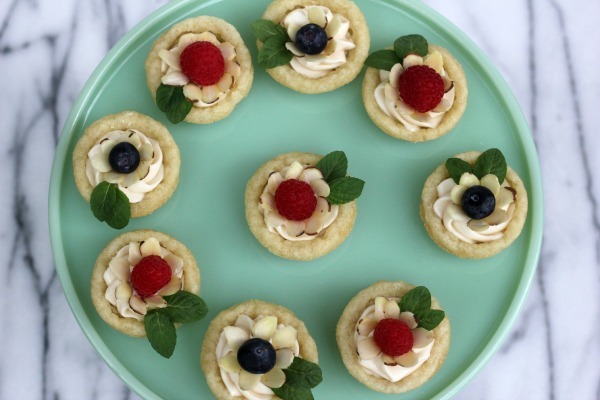 They're super cute, easy to eat and look so pretty on a dessert buffet. 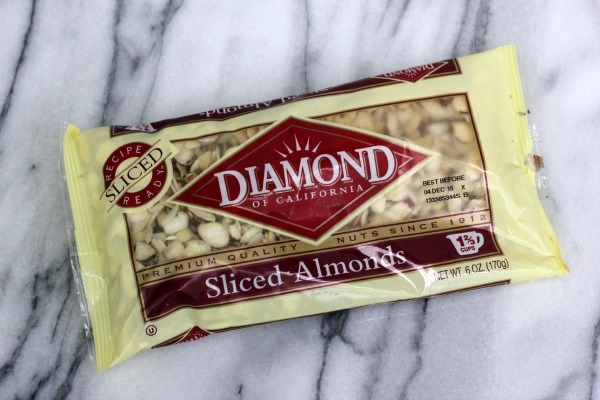 Diamond of California Sliced Almonds. 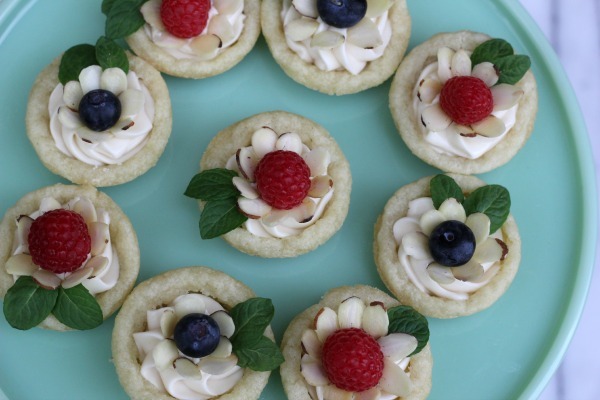 Mini Fruit and Almond Flower Tarts couldn't be easier to make. You can even use refrigerated sugar cookie dough if you like. Diamond Sliced Almonds make perfect flower petals! 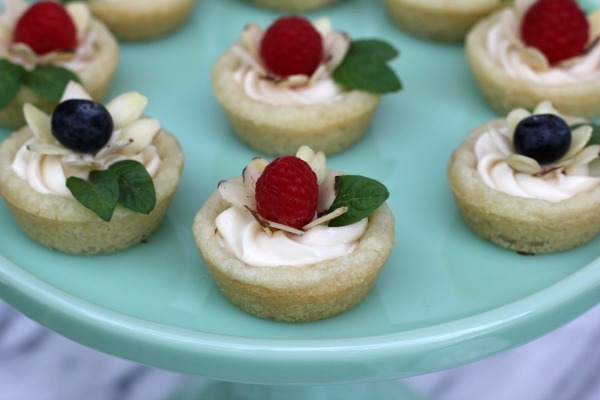 I love how cute the tarts turned out and I can't wait to serve them this weekend. 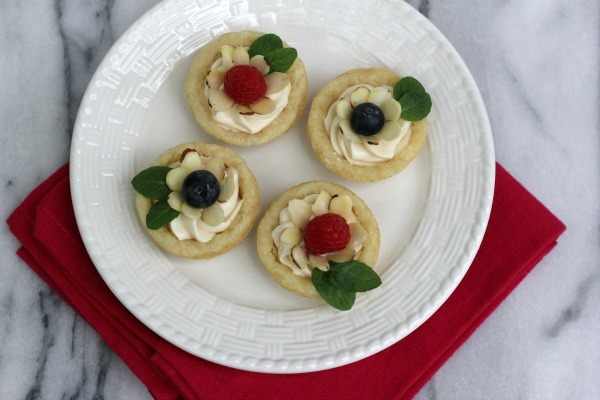 They would be perfect for Mother's Day Brunch too! and fluffy (about 5 minutes). Gradually add flour, baking soda and corn starch, mixing just until combined. mini muffin pan. Bake for about 8 minutes. 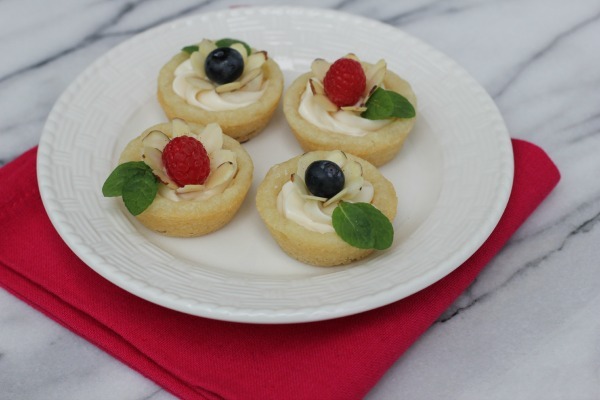 using a wooden mini tart shaper. around the fruit to form a flower. Garnish with fresh mint leaves. Disclosure - I am honored to work with Diamond of California. This post is sponsored by Diamond, but as always all opinions are my own.